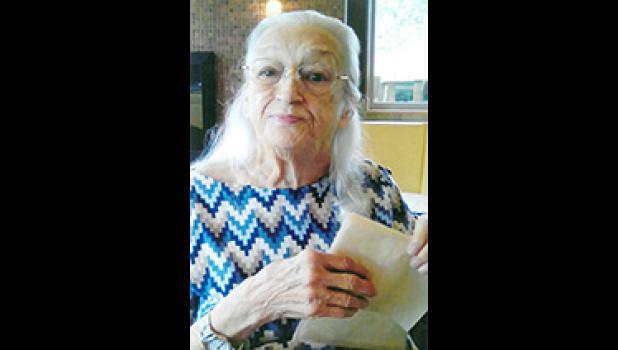 Margaret V. Smith Hayes, 80, went to her heavenly home on Sunday, July 15, 2018 at 10:55 a.m. in the ICU at St. Francis Hospital Downtown. She was surrounded by family and friends. Margaret attended Taylors High School and Greenville Tech. She was employed by Belk, Jay’s Flowers and Carolina Blouse. Most of her career was that of a homemaker. Two of her proudest accomplishments were designing the flowers for Vice President Spiro Agnew’s Inauguration Ball and the ability to lasso a baby pig. Margaret enjoyed spending time at her favorite beach, Isle of Palms, and listening to her favorite singers, Charley Pride, Merle Haggard and George Jones. She also loved sewing, crocheting, walking with her daughter, talk radio, shopping, watermelon, a good Burger King burger and KFC. Margaret is survived by a son, Thomas E. Hayes, of Greer; a daughter, Margaret E. Hayes, of the home; one granddaughter; one great-granddaughter; one brother and one sister. Mrs. Hayes was predeceased by her husband of 46 years, Robert Earl Hayes; two brothers; one sister; and her cat of 17 years, Boy. The family will receive friends on Thursday, July 19, 2018 from 2-2:45 p.m. at The Wood Mortuary. Graveside services will follow at 3:30 p.m. at Woodlawn Memorial Park with Pastor Earl Simmons and Minister Sonia Simmons officiating.